The mission of our service is to satisfy your needs in high-quality and fast assessment of Russian companies and accurate lead generation. 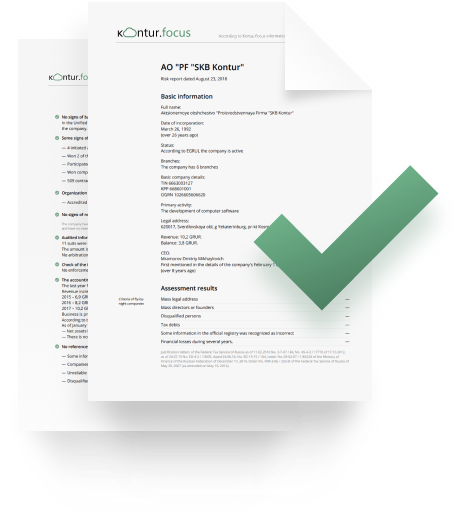 Get details from official registries: address, date of incorporation, current and former directors, previously used company names, owners and a lot more. Discover ultimate owners and affiliated companies. Assess group of companies as a whole. 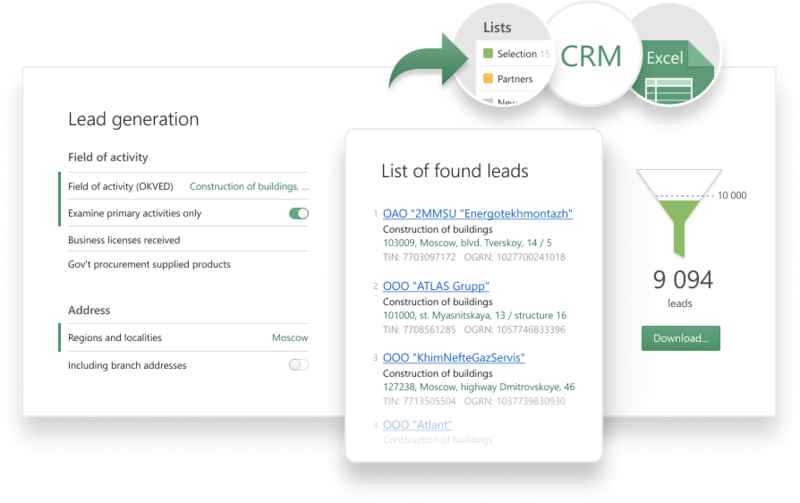 Gain insights about business opportunities in Russia using a lead generation tool. Use various criteria to segment required B2B market: by industry, region, financial data or business activity indicators. 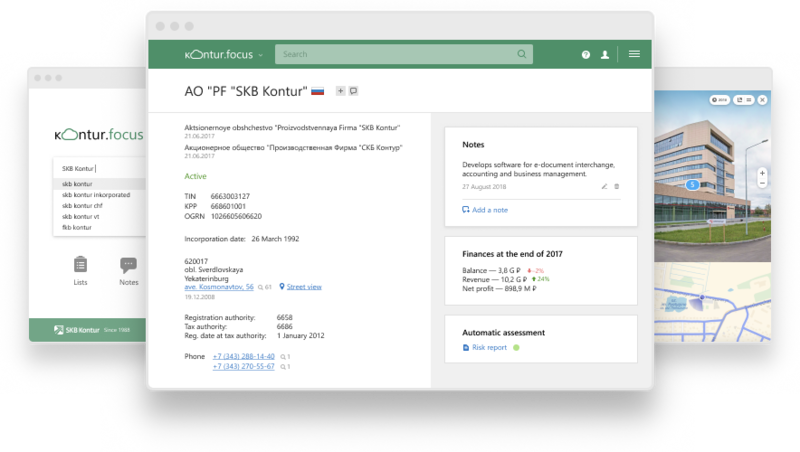 SKB Kontur develops software for businesses enabling easy cooperation between companies, government and partners. Company’s products also help to streamline internal business workflows. 7th place out of 40 in 2017 according to CNews Analytics and 4th place In the rating of high-tech fast-growing Russian companies.